John Travolta's teenage son, Jett, died in the Bahamas after falling ill and hitting his head at his family's vacation home, police said Friday. A house caretaker found Jett, 16, unconscious in a bathroom late Friday morning. He was taken by ambulance to a Freeport hospital, where he was pronounced dead, according to a statement from chief police superintendent Basil Rahming. The teenager had last been seen going into the bathroom on Thursday and had a history of seizures, according to the statement. Police said they are planning an autopsy to determine the cause of death. Another police spokeswoman, Loretta Mackey, said Jett apparently hit his head on the bathtub. A spokeswoman for Rand Memorial Hospital in Freeport said she could not release any information because of privacy concerns. 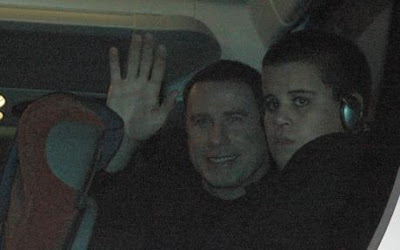 Jett was the oldest child of Travolta and his wife, actress Kelly Preston, who also have an 8-year-old daughter. The family arrived on a private plane Tuesday and had been vacationing at their home in the Old Bahama Bay resort community. "The Travolta family has become like family to us at Old Bahama Bay and we extend our deepest sympathies to them," said Robert Gidel, president of Ginn Resorts, the property's owner.